The test track offers the ability to test cars, trucks, and, in particular, buses. 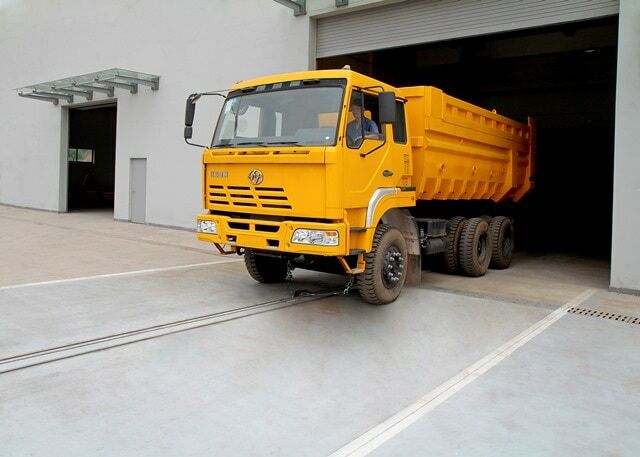 From complete vehicle tests to component tests to energy-efficiency and emissions tests, the facility in Chongqing is also available as an external testing facility. This is now the eighth crash test or sled facility that MESSRING has sold in China in the past two years. The facility purchased by the testing and research authority CAERI, has a total tracklength of 270 meters. Of that total, 170 meters are located in a covered halland 100 meters are outside. MESSRING’s MicroTrack rail system will be installed throughout the entire facility, including additional sled tracks for sled testsat certain locations. An electric motor is used to power operations in bothdirections. 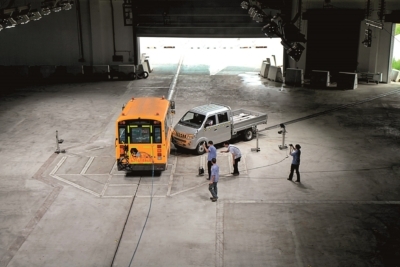 Crash tests can be conducted up to a maximum speed of 80 kilometersper hour. The hall will house a firmly anchored crash block for car impact tests, a rectangular film pit in front of the crash block, and a second, centrally positioned octagon-shaped film pit with a diameter of about eight meters. An additional crash block for crash tests with trucks or buses will mark the end of the outdoor track. The equipment MESSRING will supply also includes two moving barriers with camera tripods. MESSRING’s designers have already incorporated anchoring systems for rollover, small-overlap, and other types of tests into the facility’s layout. 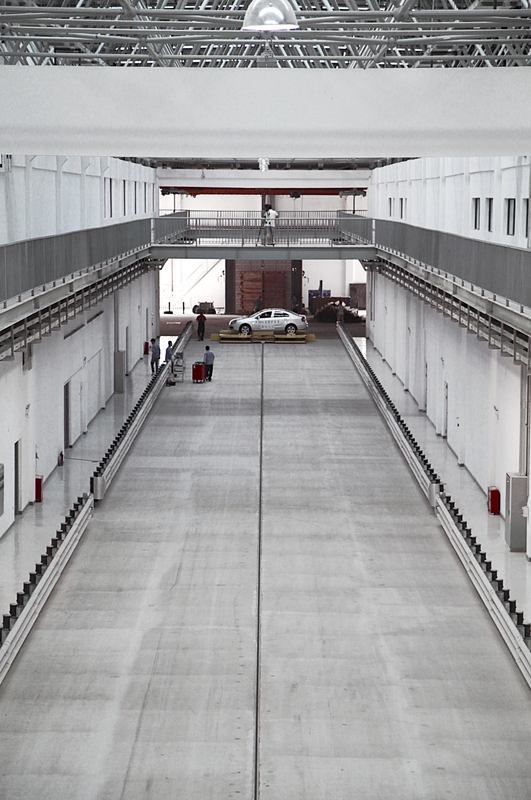 Furthermore, the crash test facility can easily be expanded into an oblique track at a later stage. “With this configuration, the CAERI´s new crash test facility has a future-proof design and can be used for global testing scenarios, regardless of whether NCAP, US NCAP, or Euro NCAP,” says Mr. Arp, describing the benefits of the concept.